If your future resides in a single piece of paper, that piece of paper is your resume. It’s one of the most important documents that you will ever own because it outlines skills and experience that can help you land your dream job. However, something you need to know is that the resume isn’t like it used to be. With so many applicants going after the same job and the internet being the primary recruitment playing field, there are some things you need to know so that your resume stands out. One of those things that you need to know is that you must throw out everything you currently know about building a resume. Long gone are the days where mailing or dropping off a resume is the way to go. Now, you can post your resume on the internet and make yourself stand out even more, which is why it’s imperative to keep the following four tips in mind and make sure you have a great resource for resume templates to help you. The objective is a very “old school” way of opening your resume. Employers and recruiters have to read every resume so quickly that they don’t look at what you want because they are more concerned about you having what they want. Since resumes are searchable online, use the top portion to grab the employer or recruiter’s attention. Show them that you have what they are looking for and use words that search algorithms can pick up. Using a target job title at the top of the page is another great top-of-the-page idea so you can give your resume the boost that it needs. 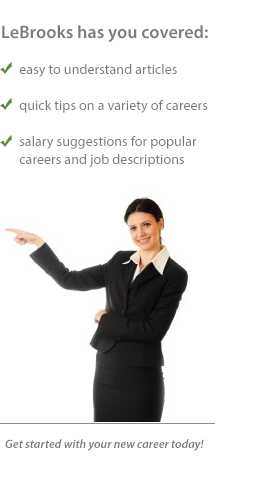 A target job title is a title that targets a specific job. It’s not a one-size-fits-all resume. You should pick at least six job titles and create a unique resume for each. This means each will have a different target job title and content that is relevant to that target job. Don’t just create a resume and hope for the best. Make sure you evaluate the specific needs of each employer you’re interested in so you can put emphasis on the things the employer needs. Do your research so you can show that you are the perfect fit for the job. Keep in mind that half of the work of building a resume is in the preparation. The performance profile is what is going to contain the engaging content that shows a recruiter or prospective employer that you have what it takes. This shows that you can get inside the head of the recruiter, which will be the result of you doing your research and paying attention to the company’s needs. It can be tempting to write down every single skill you have used at every job you have had. This isn’t a good idea since the person reading your resume could get bored easily. Simply include the skills that are relevant to that employer, especially since that is what they are looking for and nothing more. A resume with a strong opening, focus on a specific job and highlights only those things the employer is interested in will make a world of difference in how it is perceived. A well-structured resume will also make a difference in how often it is found online and how many recruiters contact you.